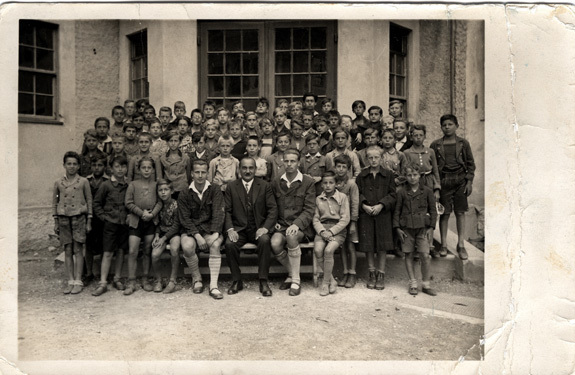 Siegmund Wolfsohn in a school or camp; Siegmund is on the third row, second from left. Although the exact location of this photograph is undetermined, he was known to have attended camp in the Austrian alps; ca. 1927.